This concept develops as students explore more. They learn that operations inside the primary piece of the function have horizontal effects, while outside correlates to vertical changes. Easy enough. But then, it happens. Butler: “That’s a great question. What do you mean by opposite.” (trying to get the student to articulate more specifically what he/she is trying to say while I ponder it myself in hoping to come up with an appropriate answer). Cue the tilt head, “Huh?” OR “Oh …..I get it,” fake voice. This process with examples didn’t answer the question conceptually, it just confirmed that there’s a pattern. Yes, inside opposite, outside normal. But why? Students get this, kinda. You choose an input, do some math, then get an output. 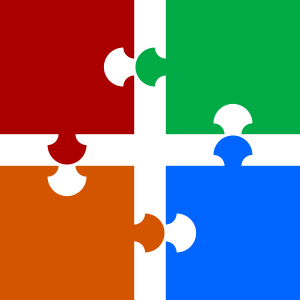 It’s helpful to reference the inside and outside as add-ons to the machine. Students can kinda get a grasp on that, but it’s still abstract. So we iterate with a few different function machines: quadratic, cubic, and maybe even some square root functions. do we really need a b? Wait, do we really understand what’s going on with the inside/opposite confusion yet? When we are making a change to the inside, we are making a change to the input, before it goes into the function machine. That’s like making a change to all the inputs at the same time. We conveniently have an organized visual set of the inputs: the x-axis. 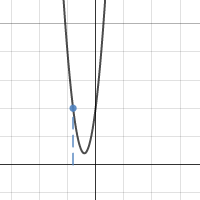 So any change to the inside/input is actually a change to the x-axis. Play with this and see if it starts to conceptualize a little better for you now. I’m not opposed to starting simple. In fact, I’m all for it. There are so many layers in function transformation and it takes a while to handle what’s really going on under the hood. I do suggest that once that question of “Why?” is primed and ready, get the students to explore with this. It relates back to dilations. The big idea: similar triangles have proportional measures. Wait, did you see that? Down at the bottom with the big red arrow. It’s fine print but it looks like a proportion of some sort. Max at MathForum shares the awesome of the notice and wonder practice in a math classroom. This is what I was experiencing when I saw (a)(b)=(c)(d) and some occasional references to a proportional measure of . I was noticing the proportions and wondering about similar triangles, dilation and those proportional relationships. So This was my first date with Geogebra. I was hooked, and I never looked back. 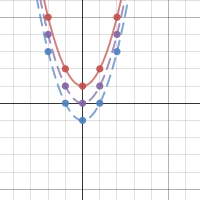 Geogebra allowed me to visualize my intuition and confirm my conjecture. Eventually I came up with an applet. It wasn’t enough to just show how flipping a triangle could reveal the proportional relationship with similar triangles. We need to also build those proportions using actual measures. I made it so that the user could drag text boxes that correlated to the needed measures from the circle. But wait, are all the relationships the same then? Not exactly. I would guess that this is also why most texts/reference guides give 3 separate theorems. What each instance does have in common is there are two triangles, one similar to the other. We just need to find the reflection that reveals the proportional relationships. So use paper. (Patty paper works great). Or transparent stuff like sheet protectors. Let’s be real. This is great for conceptual understanding and visualizing the underlying relationships, but we need to practice. And practice often works hand in hand with paper. So we work with this concept for a half, maybe 3/4 of a period in the applets and then we practice fluency. I actually go back to something like the Kutasoftware sheet from the beginning. The difference this time is that we color code the segments, redraw them as embedded similar triangles, and use proportions. And not once did we need those similar, yet not so similar theorems for circle segments. I wanted to know how this thing worked. So I built my own. How do I measure the angle between the clock hands? How far away is the intersection point? Is the intersection point always outside the circle? What time is it when the two hands are perpendicular? What time is it when the two hands are opposite rays? Besides 12:00, what time is it when the two hands overlap? Getting students to investigate these and asking to show evidence and create an argument to support their claim would be so much more fun than just calculating pre-made samples. For students wanting more feedback and support, they can use the visnos interactive application. 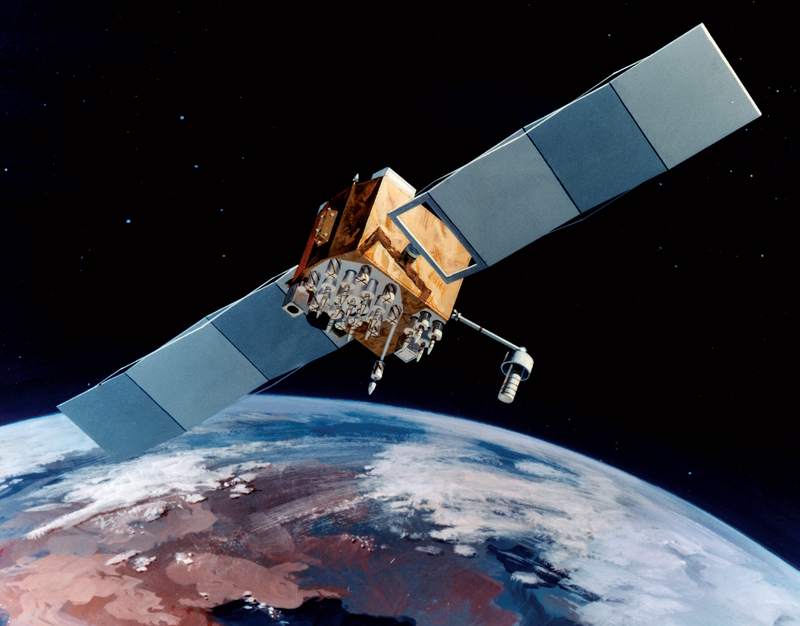 Have you ever wondered how far a satellite is from the planet? Sometimes people think about these objects flying through the sky and rotating around a planet. Such wonders have even inspired greats like Isaac Newton and Kepler. Some good folk over at illustrative mathematics put this whole satellite into some simpler geometry with circles, triangles, and tangents. Which measures, do you think are congruent? What is the perimeter of the triangle? What is the total area of the triangle (circle included)? Then get all geeky advanced. How do you calculate the value for the area of the blue shaded area (circle excluded)? T: What kind of segments do you see? S1: ’cause it says ‘tangent’. T: I’m still not convinced. Maybe I mislabeled it. Prove it. S2: They’re perpendicular. Tangents are perpendicular. T: Anything else? Any other types of segments or is that it? T: What about inside? Any segments inside the circle? S3: Radius! There’s a radius! T: Where? Pretend I’m blind. S3: You already are blind Butler, that’s why you wear glasses. S3: Here at AJ. Ohh, and also AF. And these ones to but you didn’t label them. T: Do you notice anything else? What if you drag around that red thing? S3: They’re all the same? T: What are the same? S3: The radiussus. Does that mean they’re equal? S3: Yeah, equal. They have to be, cause of the red thing. S: Hey Butler, is that a kite? T: It sure looks like it huh? What do we know about kites? S: There’s stuff that’s the same. Like congruent. 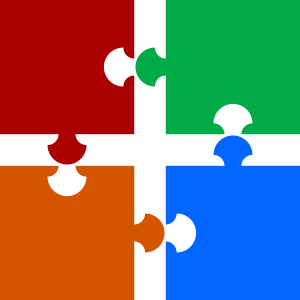 S: The pieces that match. T: So how can you use that? S: They’re equal. Oh wait, they’re equal. Sooo…. 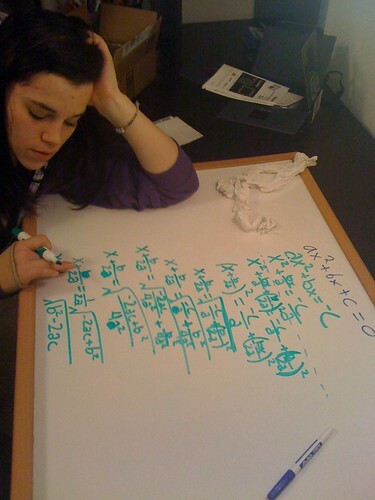 And then the student goes on to apply that understanding to fill in the blanks for the missing segment lengths. The idea of using a few measures, congruent relationships, and some triangle calculations helped the students apply the geometry and calculations further than just one calculation. As a follow up assessment they completed a static version of the question. This was easy to create by just taking a screenshot of the applet at some particular balance. Some day I want to advance this further with some clock math. Once similarity intuition has been built with circles, we can start getting into more specific relationships with angles and segments. This post will look at using visual information from central angles and inscribed angles. Students sometimes lack intuition for the measure of something. Andrew Stadel has developed this idea into a thorough curriculum on estimation. In my classes we started reasoning through similar exercises. Once we had a decent understanding of circle parts and whole, we moved on to other types of angles. At this point most students have the common sense that a circle has 360 degrees, and a triangle is half that at 180 degrees. Built with this intuition in mind, we look at a triangle created by inscribed angles. The next day we get to see the formula that collapses 3 ideas down to 1. This is nice, but it still implies that all these relationships are discrete. Instead it would be better to look at them as connected. I originally thought students would look at this and see how the measures relate. It wasn’t obvious, so I interjected with a simple exercise to the students. To support the visual information, students need to look at the measures involved and start building the relationships (SMP7 and SMP8). 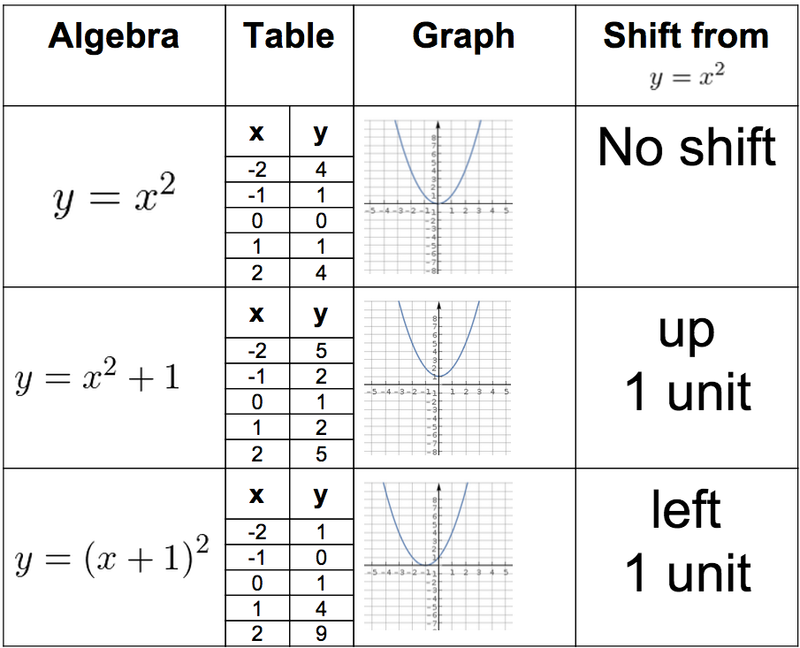 After multiple true versions of the math relationships, we can return to something like the original table. 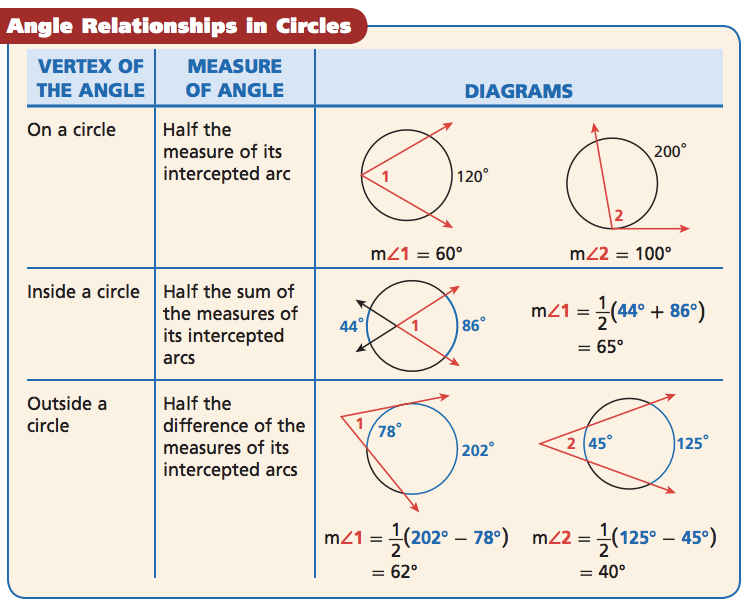 Students start to see that the table is simply 3 snapshots of this dynamic relationship. Then it is easier to organize the information in their relative schemas. From here we go to paper practice with simple examples and eventually into a more complex question with multiple parts. I took a discrete snapshot from this applet and used it as a paper assessment. Students were solving for complex relationships with multiple layers, and not all with the same process. Common Core math like this requires utilizing big picture relationships while at the same time being able to articulate the specifics within those relationships. This series of dynamic relationships within a circle continues next looking at segments, first with only tangents, and then into various combinations with secants and/or tangents.